Nursing is a popular and in-demand career choice in the field of healthcare. As a CNA, LPN, RN, or advanced nurse, you need a strong community that can support you throughout your career. There are numerous career paths in the field of nursing, and no matter which one you choose, you are subject to extensive governmental oversight. As a member of local professional nursing organizations and associations, you can attend events, meet continuing education requirements, and get updates on legislation that impacts healthcare and nursing practice. Below, you will find a list of descriptions of some of the most popular organizations for nurses and future nurses. The AACN is one of the most well-known groups in the field of nursing. In addition to accrediting many of the nation’s nursing schools, this organization influences the future of nursing by encouraging nurses to pursue higher education. Networking is one of the primary goals of the AACN. The stronger your network is, the more it may help you spread your wings as a professional and find ways to help in your community. Members can connect with Visionary Academic Nursing Leaders, professionals who are shaping the future of nursing with their work every day. The organization also runs several members-only Leadership Networks that are educating the next generation of nurse leaders. If you’re pursuing a graduate nursing degree, start your nursing professional network by joining the Graduate Nursing Student Academy. Continuing education is essential in nursing, and without access to courses and events, you may find yourself rushing to meet requirements at the end of each renewal period. AACN members can access nursing news through conferences located all over the country, attending webinars, participating in Leadership Development Programs, and getting involved in Faculty Development Programs. If you are going after a career in nurse leadership, you can connect with a mentor through the New Dean Mentoring Program. Research is another major benefit of membership in the AACN. Members get free 24/7 access to many publications, including News Watch, Policy, Beat, Career Link, and Syllabus. With your subscription to the Journal of Professional Nursing, you can keep your finger on the pulse of the nursing industry and stay on top of the latest issues in nursing. Policy analysis resources make it easy to stay informed on matters of state and national policy. When it comes to multifaceted membership benefits, the AACN is an industry leader. Consider joining as a student or professional member to build your nursing career. Whether you’re a graduate nursing student or nurse educator, you can benefit from membership in the National League for Nursing. It’s important to note that this group primarily serves the needs of nurse educators, so most of the resources are suited to those who teach nursing at two-year colleges, four-year universities, or graduate programs. In total, the organization serves 40,000 members. When you join the NLN, you join as an individual student. This level of membership is open to nurse educators, graduate students, and retirees. The National League for Nursing aims to improve the field of nursing in several ways. It offers professional development services to nurse educators and administrators. By empowering nurse educators, it hopes to graduate more experienced and highly trained nursing students who can change the world through clinical practice. 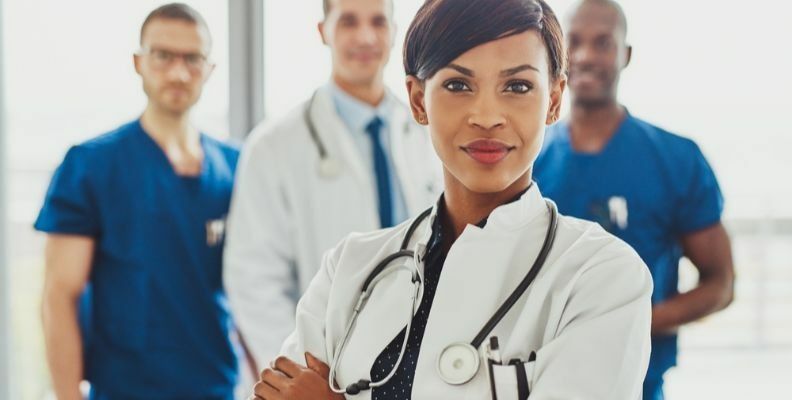 In professional development programs, you can attend targeted workshops, webinars, and courses that strengthen your educational techniques and your understanding of the healthcare industry. This professional nursing organization also improves nursing via advocacy in legislation. The NLN aims for high standards for nurses, nurse educators, and others in healthcare. Through their advocacy efforts, they hope to shape state and national policies that impact nurses. If you’re a current or aspiring nurse educator, membership in the National League for Nursing can have significant benefits for the future of your career. The process of networking begins when you are still a student. By performing well in your nursing courses, connecting with professors, and making a positive impression on your peers, you start shaping your reputation in nursing. Your efforts shouldn’t stop there. Learning what you need to know about nursing can help you prepare for future healthcare changes and contribute to this field in meaningful ways. Sigma Theta Tau is an international honor society for nursing that represents nursing students and graduates from all over the world. As you learn how to become a nurse, you must be ranked in the top 35% of your graduating class to be considered for acceptance to STTI. This works out to a 3.0 for undergraduate students and a 3.5 for graduate students. You can also join this group as a nurse leader. Membership dues are set by each chapter, so amounts vary based on where you live and practice. Exploring member benefits prior to joining shows you how much value you get for your membership fees. Become part of the international nursing community while still building your network in your community. You can reach these goals by attending chapter events, volunteering with nursing events, or going to continuing education seminars. Going to these seminars may also help you earn continuing nursing education credits, which are required in many states and for national certification in various specialties. The STTI produces several publications that you receive free as a member. Available publications include Reflections on Nursing Leadership, STTI-connect, Always a Nurse, and Journal of Nursing Scholarship. As you become more established and experienced as a nurse, get credit for your work through recognition programs run by STTI. No matter which stage of your career you are currently in, membership in STTI may be a great move for you. You can reach out to STTI to find your local chapter and get membership information. There are obvious benefits that come with membership in one of the nation’s largest professional organizations for nurses. While becoming a nurse and getting established in your career, you need to make constant progress on your skills and knowledge. Joining the American Nurses Association may be exactly what your career needs. Members of the ANA have access to different resources and programs. With regular updates on legislation and nursing news, it’s easy to stay connected to the national and global nursing community. You can also get insight into the legislative changes that may shape the future of your nursing career. Nursing is always changing, which means that your nursing career is always evolving. Attending continuing education events helps you maintain your license and stay on top of new techniques and research. The ANA runs free webinars every month for members, and members can also watch past webinars for free. Discounted continuing education programs are offered through ANA. While working toward ANCC certification, you may save up to $125 on your certification fees. You know that building a professional nursing network is crucial to your career options. Through the ANA, attend national and local meetings to build a broad network of nursing experts. The ANA Annual Nursing Quality Conference is one of the largest events put on by this organization, and it aims to improve standards and education options in the world of nursing. With state and national groups and committees, the ANA is a great resource for nurses and nursing students everywhere. In addition to joining nursing groups that represent nurses across all specialties and levels of education, it’s crucial to get involved in groups that are limited to your chosen area of specialty. Nurses who go into emergency care may take their career to the next level through the Emergency Nurses Association. Continuing education is one of the biggest benefits of joining the ENA. Members have free access to continuing education every month through the ENA. If you wish to attend other programs, you benefit from reduced fees for other CEUs. Additionally, the group provides discounts on certification and recertification. Emergency care is often heavily affected by national and state legislation. Through the EN411 Legislative Network, you can get immediate updates on legislation that influences nurses. Get even more involved by volunteering with a state or national committee. Free publications are sent to ENA members every month, providing a stress-free way to stay informed of the latest research in emergency nursing. Free publications include ENA Connection, ENA STAT Weekly Newsletter, and Journal of Emergency Nursing. In every nursing specialty, professionals who are passionate and devoted to their patients are in high demand. Stay engaged with your professional community by joining the ENA or a similar group.